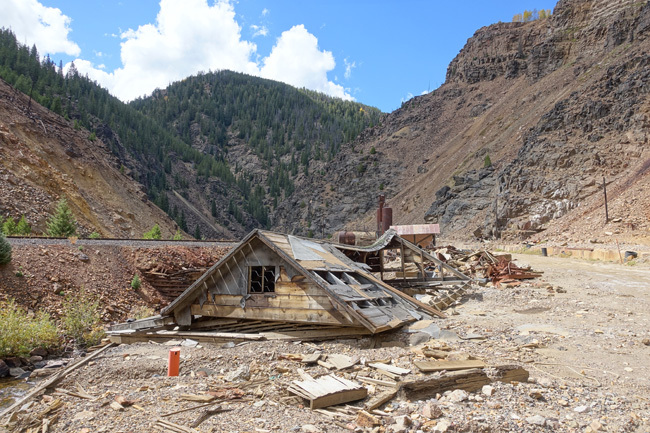 At the base of Battle Mountain, a thousand feet below the ghost town of Gilman, Colorado, stands the abandoned ruins of Belden Mining District. 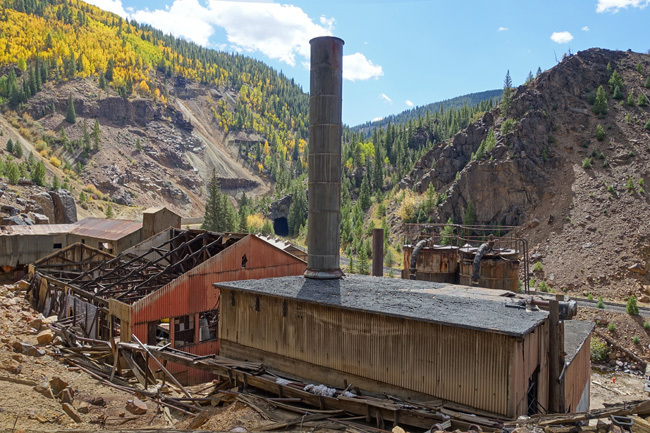 After exploring the residential and business ruins of Gilman, Colorado ghost town, I descended into Eagle River Canyon to check out Belden Mining District. 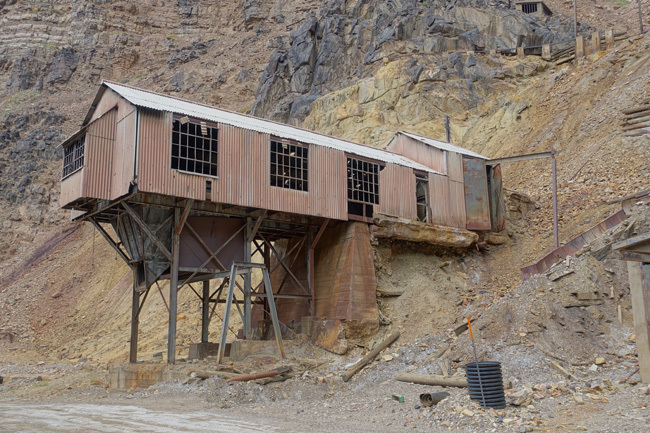 A set of wooden stairs along the cliffs once allowed employees to reach the mining district from Gilman above, but no trace of it remains today. 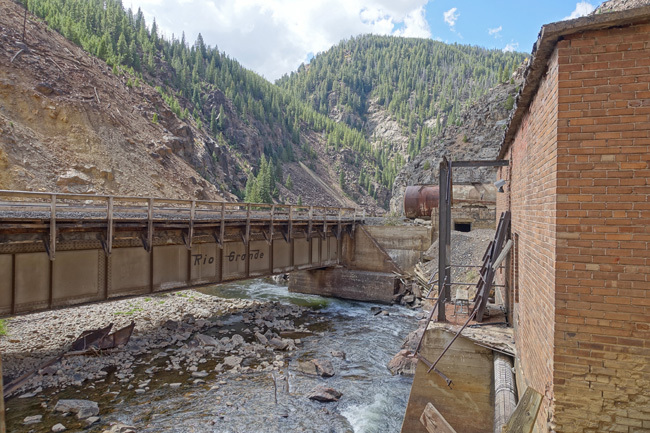 The other route down the mountain was a narrow gauge rail trestle that once transported supplies between Belden and Gilman. 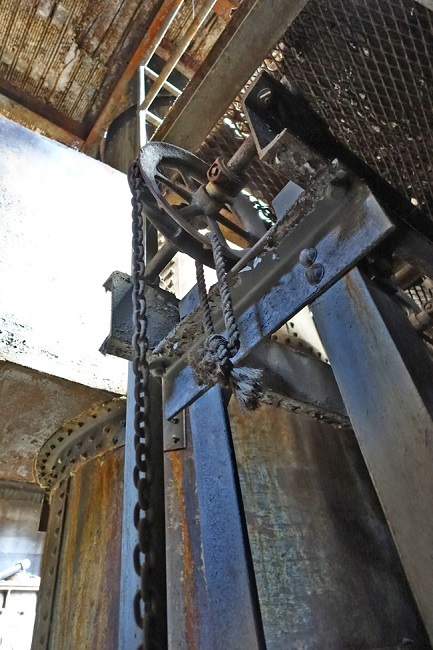 Nicknamed Darwin's Ladder, the trestle has become badly warped and is no longer functional. 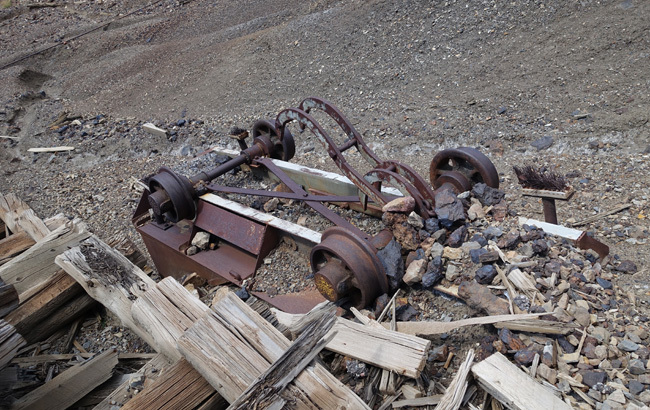 An overturned cart and various artifacts are embedded in the scree along the damaged track. 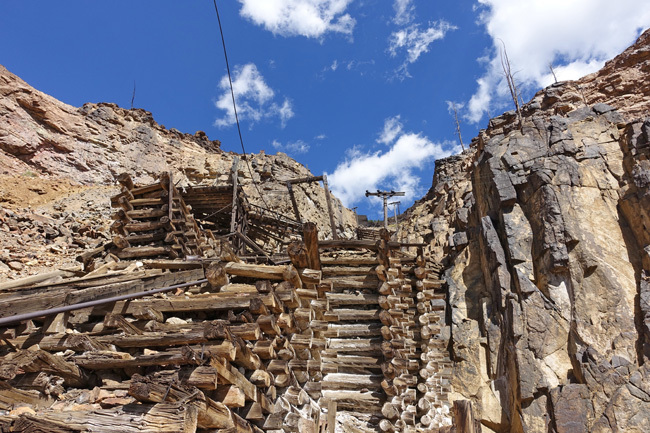 At the base of Battle Mountain, retaining walls of thick log hold up the crumbling remains of the rail trestle. 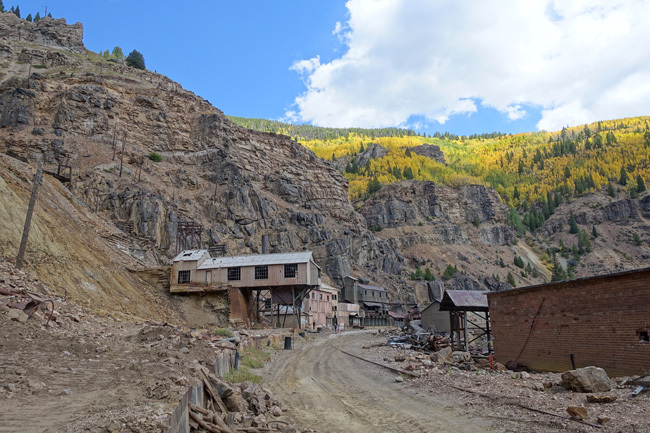 Belden's rusting mining structures stand out in beautiful contrast against the vibrant landscape. 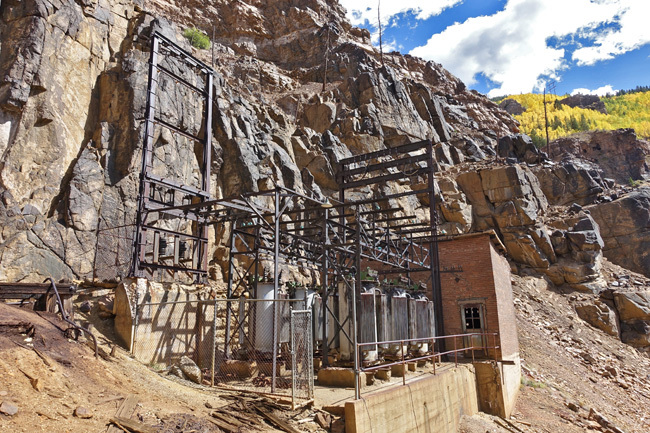 The powerhouse that supplied electricity to Gilman and the mines beneath is largely intact. 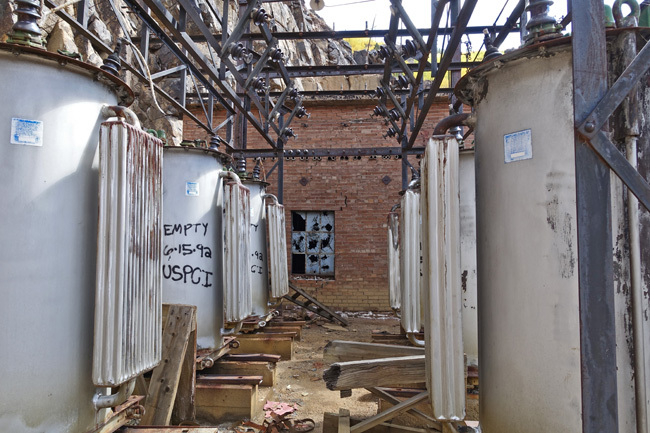 Cooling tanks remained full of toxic PCBs for several years after the place was abandoned. 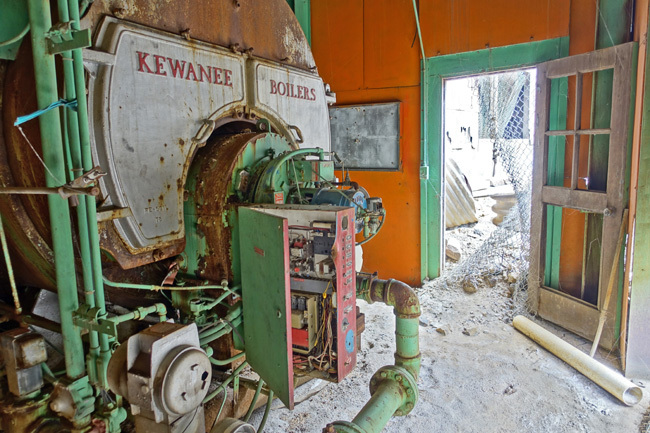 Nearly a decade later, they were finally emptied during the EPA's cleanup of the polluted mining site. 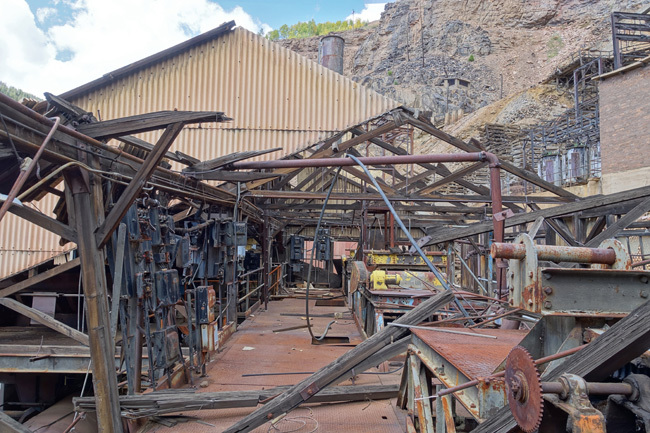 Though the Belden Mining District has stood abandoned since the early 1980s, massive pieces of machinery remain inside the buildings. 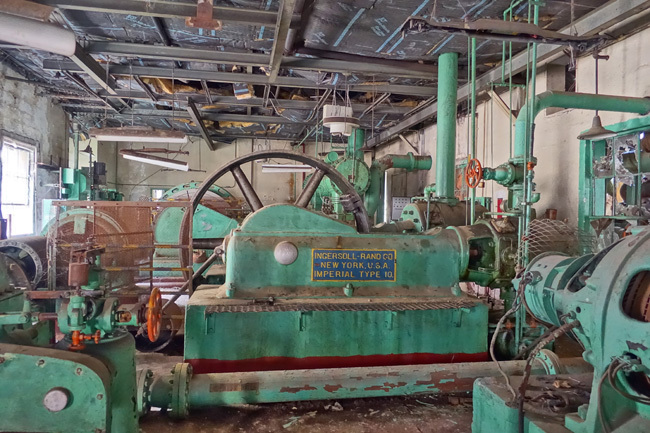 It is amazing how well the buildings have held up in the century since they were built. 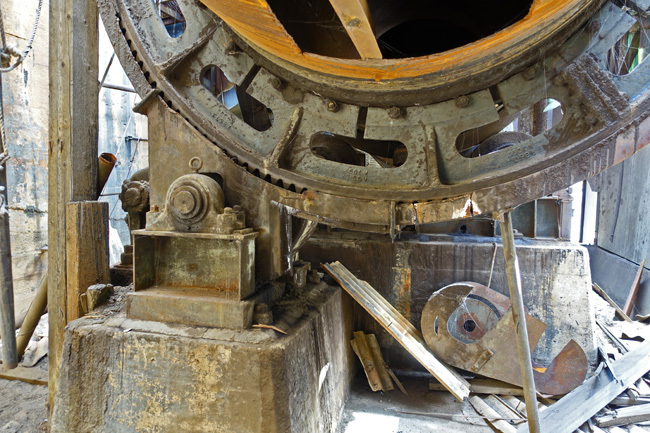 The amount of ore processing equipment housed within these structures is staggering. 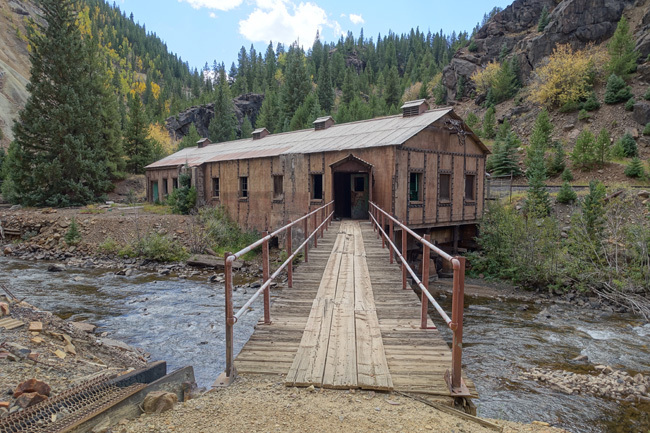 Across the Eagle River, the pump house sits along the deserted railroad track. 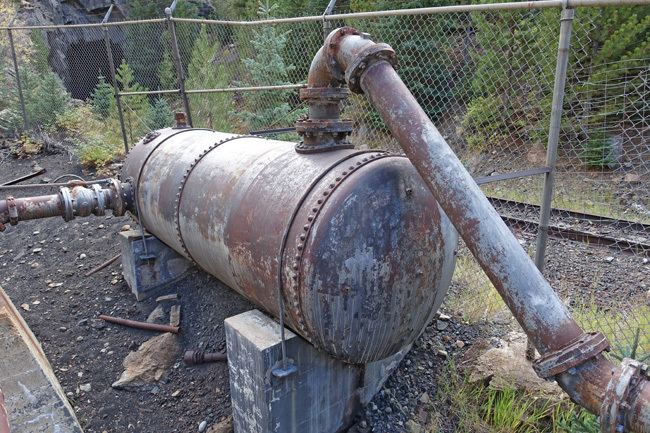 A rusty tank sits out back. 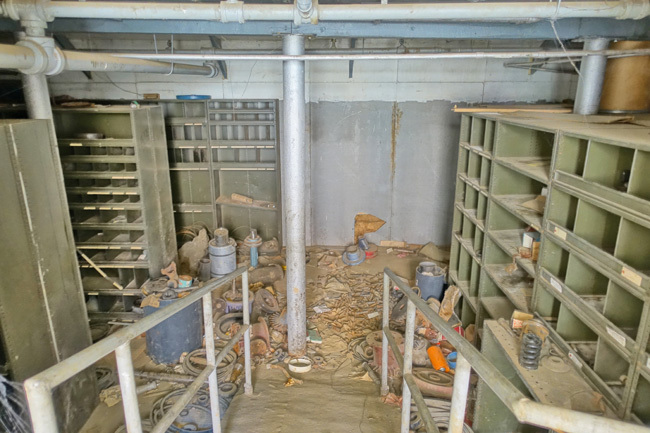 A supply shed contains rows of meticulously labeled shelves, though their contents lie scattered across the floor. 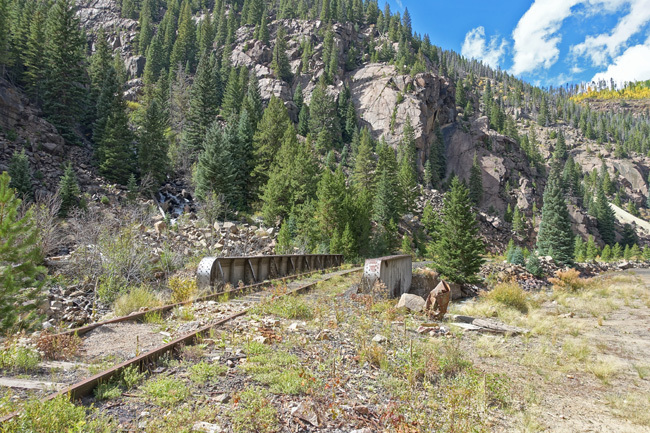 The Denver and Rio Grande Railroad came to Belden in 1882 to service the many mines that had recently been established there. At one point, railroad tracks ran along both sides of the Eagle River. 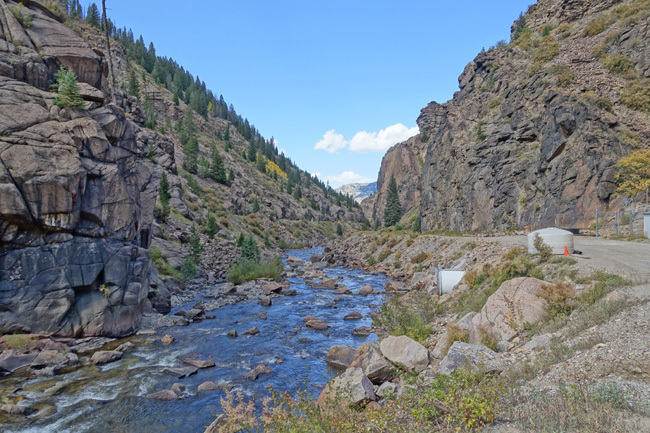 Much of the rail has been removed, leaving only the Tennessee Pass line, which runs along the opposite side of the river. 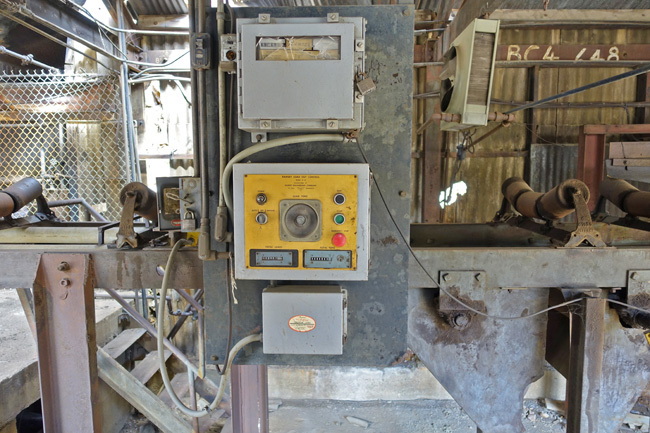 Union Pacific retired the railway in 1997. 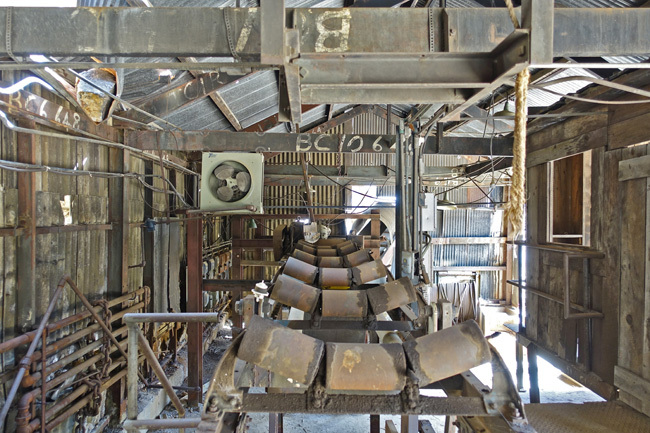 The New Jersey Zinc Company began scaling back its mining operations in 1975. 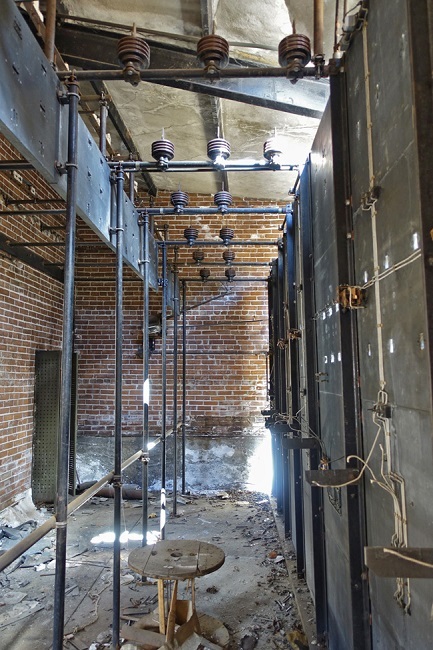 Technological advancements had brought about a dramatic decrease in the demand for zinc. 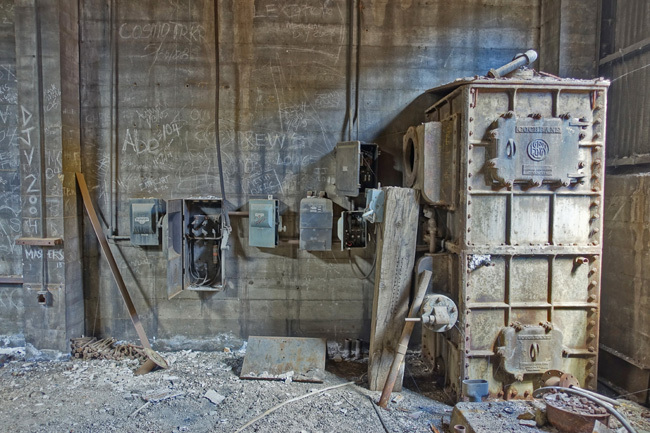 In 1977, most of the mine workers were laid off, leaving a skeleton crew of about a half-dozen people who remained for several more years. 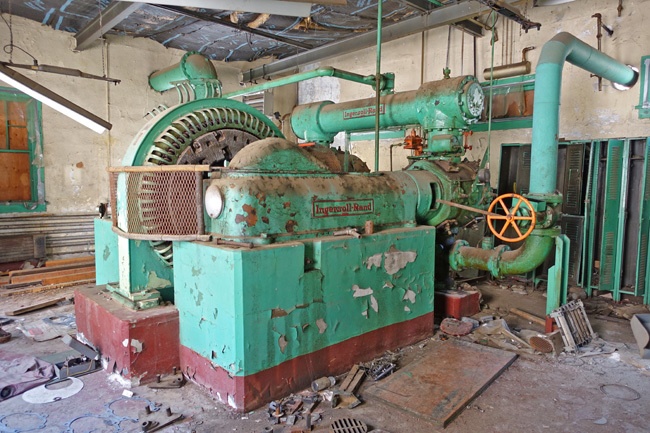 In 1984, the electricity and water pumps were shut off permanently and the mines were allowed to flood. 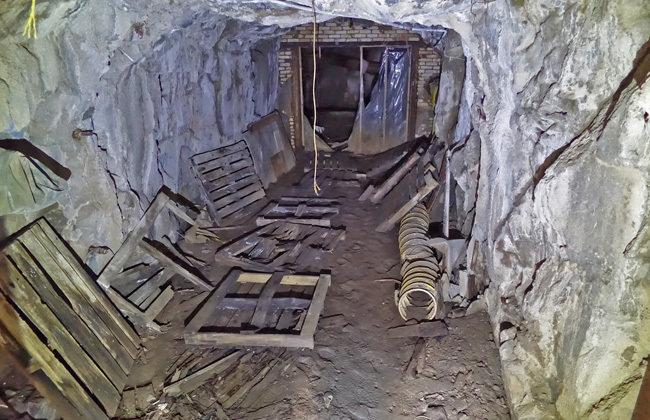 I was surprised to find that the Entrance to Eagle Mine was accessible and couldn't resist taking a peek inside. I only ventured a few hundred feet before heading back outside. 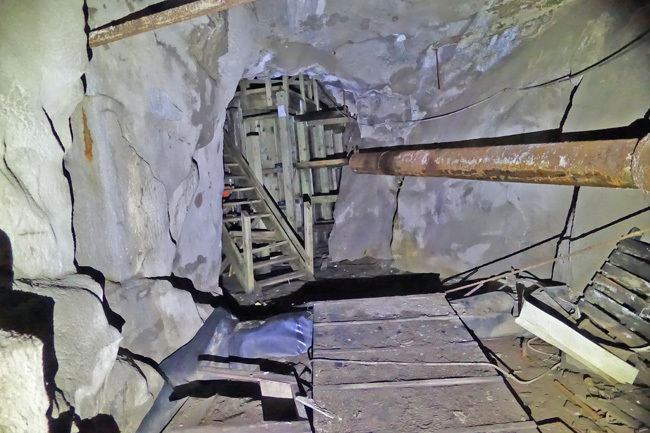 Abandoned mines are incredibly dangerous and I hadn't brought proper equipment for a mine exploration. 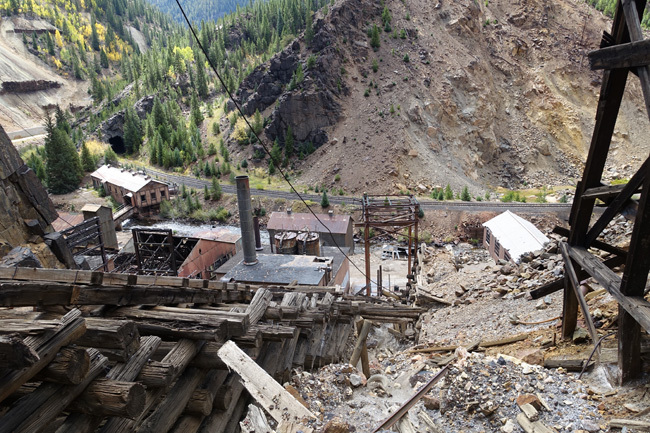 With my energy waning, I decided to take a final look at Belden Mining District and then begin the long hike back to my car. Just as I was getting ready to leave, I ran into a friendly middle-aged couple from the nearby town of Red Cliff. Jerry told me that he had lived in Gilman in 1979, when the population was only 7. 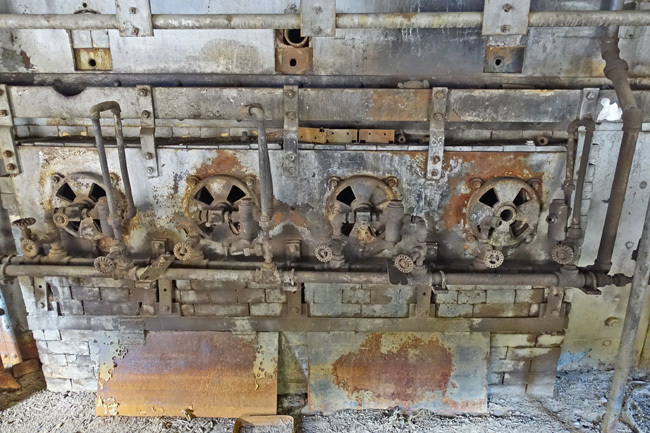 The bare bones crew was necessary for keeping the water pumps functioning. 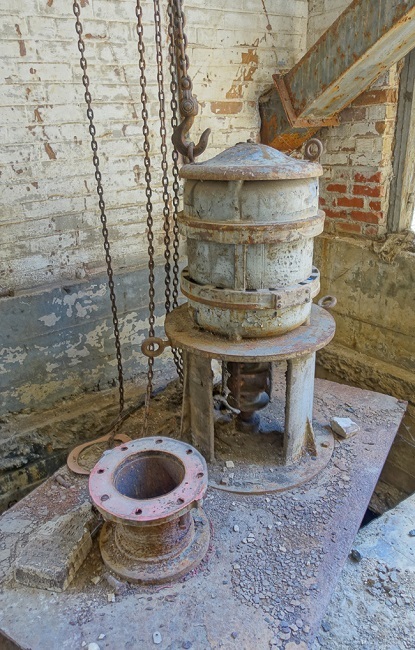 The same pumps that kept the mine from flooding were the same that supplied water to Gilman. 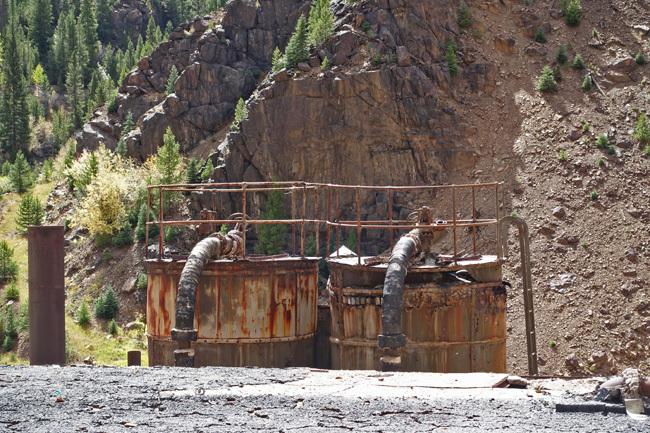 He recalled a time when the Eagle river was so polluted that it ran orange. Fortunately the water has returned to a more natural shade, though orange stains are still visible along the rocky embankment. 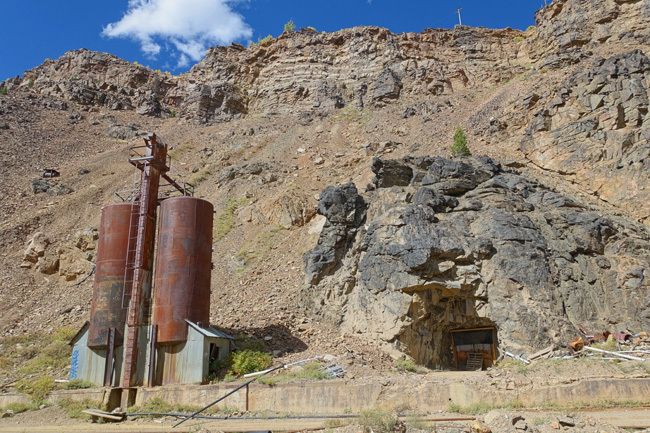 Jerry told me that the Belden tunnels stretch for miles and connect with mines in Red Cliff, about 6 miles southeast of there. We talked for a while and they offered to drive me back to my car, so I wouldn't have to hike in the blazing sun. I’d originally intended to walk the railroad tracks and explore some old rail tunnels, but I was too exhausted to resist the ride. They even offered to take me to Red Cliff and show me around, but I had to decline because I didn't want to put myself too far behind schedule. 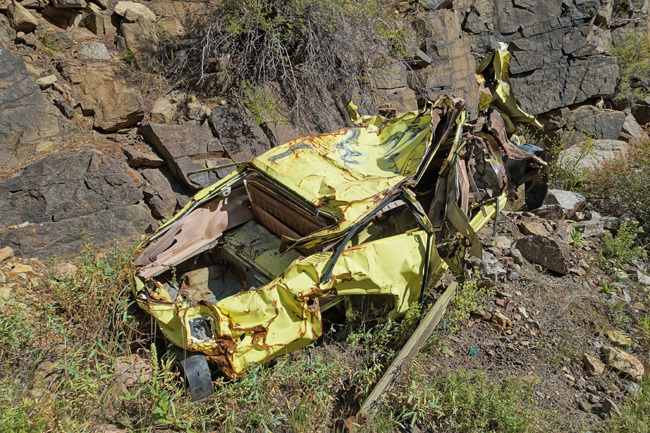 As we walked to their car, we passed a disturbing sight: the wreckage of a vehicle that had driven off the highway and tumbled down the mountain. They dropped me off at my car and I thanked them for their kindness. They were such nice people; I wish I had thought to ask for their contact information. I ate a quick lunch and then set out for Denver. I arrived just as the sky grew dark. The abandoned warehouse I intended to explore that evening had already been demolished and the skeleton of a new construction stood in its place. 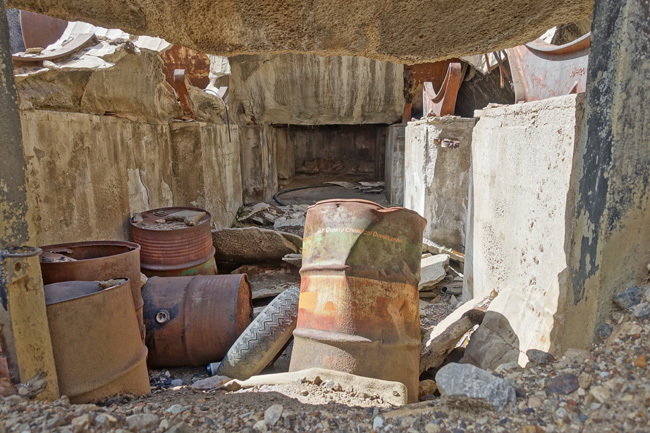 I didn't mind too much; I'd just spent the last two days exploring one of the most amazing ghost towns in existence. With over half a dozen explorations planned for the following day, I decided to get some sleep. After a memorable couple of days in Colorado, I headed into Roscoe, Nebraska, home of many neat abandoned relics of the past. Love your blog ! Fascinating glimpse of what was!! 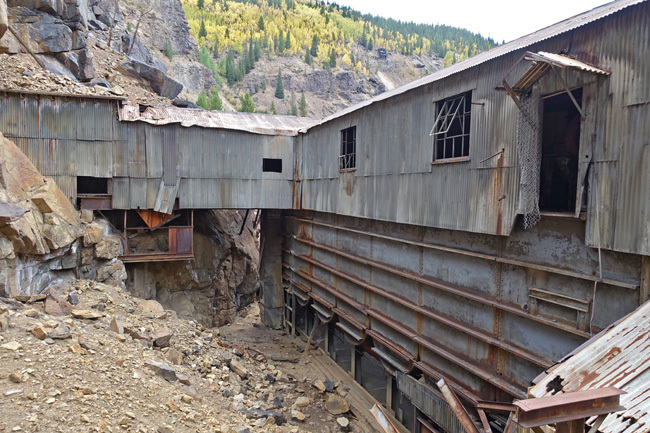 Good to see there was not a lot of graffiti at the Eagle mine? Thank you! 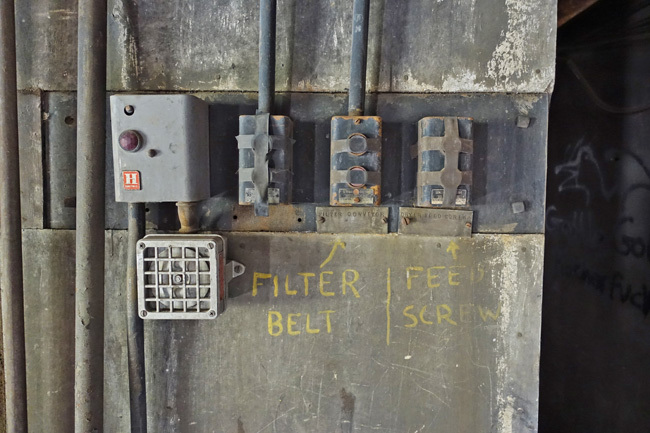 I'm always pleasantly surprised when I find places that aren't covered in graffiti. 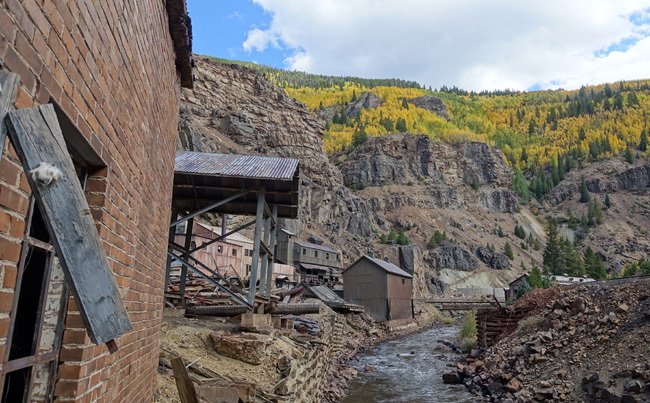 I lived in the town of Minturn in 1997 when the railroad closed. We parked a car at the bottom of the Tennessee Pass rail line and drove to the top of Tennessee Pass. We had a twelve pack and jumped the train and rode to the bottom. The train crawled slowly down the mountain and we were able to view a lot of what you have photos of. The reason there is no graffiti is the sheer cliff to access it is almost impossible to walk down. We finished the twelve pack and got off the train when they stopped at the bottom. It closed a week later. Thanks for posting. Good stuff. Sounds like a fun time! Glad you got to make a great memory before the rail line closed. Your grandparents must have had such interesting lives. I'd love to see the picture from 1912! Is Bells camp also in Colorado? Thanks for writing these! Just came across them. Thanks for reading! Glad you enjoyed them! I lived in Summit County in the late 90s and I drove past Gilman many times. And many times I thought about figuring out how to explore it. And many times I just got too busy with work. 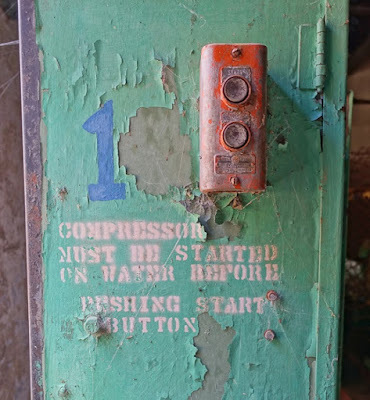 That’s the stuff that regret is made of, as I’m sure those opportunities predated much of the graffiti and vandalism. Thanks for taking these pictures. Every once in a while I take a stroll down memory lane and this was one of those nights! We passed by Gilman yesterday after a 4 wheel drive trail led us to Red Cliff then we were heading to Avon. We stopped at the edge of the highway to take a look and were surprised at how new some of the buildings looked. 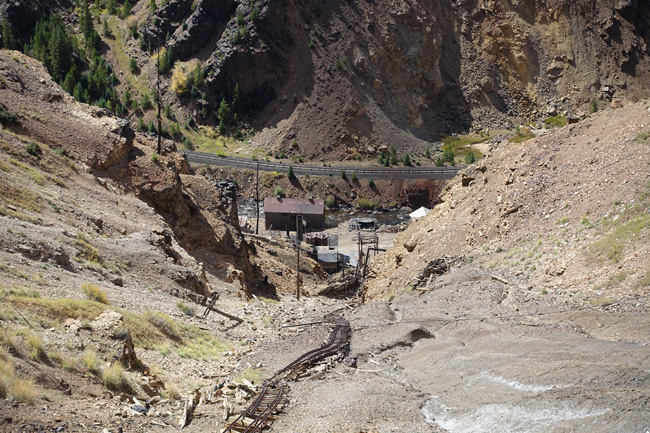 It has tremendous amounts of mine tailings all around and looks like a ghost town. After getting curious I came across your page. I have no interest in getting into those buildings my self but really enjoyed the virtual tour!! Thanks! Thank you! I'm glad you enjoyed it. Such a beautiful area. I wish I'd had time to visit more of the towns.